Express your individuality and personal style with a fresh new look from Creative Scissors Unisex Salon. 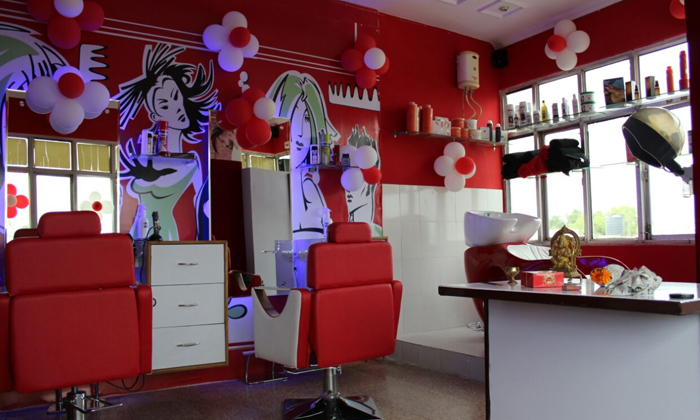 Located in Malviya Nagar, Creative Scissors Unisex Salon is a full service salon that offers a wide range of hair care, beauty and grooming services to choose from. The staff here stay ahead of the latest trends and help you find a look that is trendy and best suits your personality. They make use of top notch products and techniques to ensure that customers are satisfied with every visit. A trip to Creative Scissors Unisex Salon will leave you feeling your fashionable best.